Marketing support for your growing Business! The top three websites today are Google, YouTube, and Facebook… in that order. YouTube claims that 5 billion videos are watched every single day. Video has become essential in helping you tell your story. 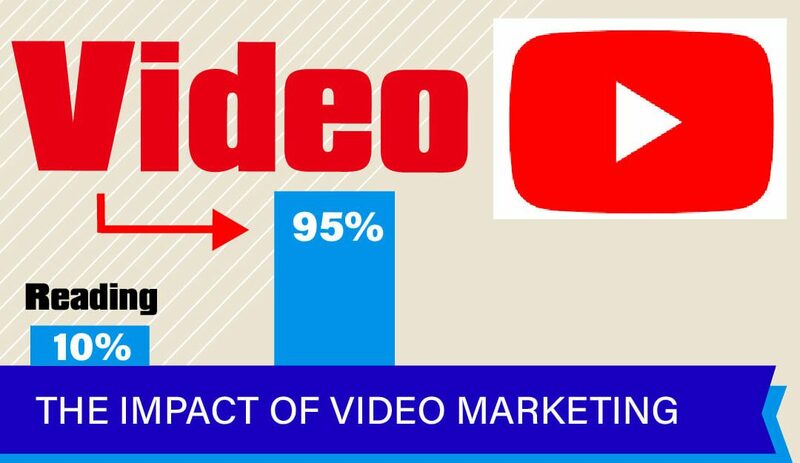 More and more businesses are realizing they need to expand into video marketing. Goldmine Dezine can help you expand into creating engaging websites and videos for your business. We can help you create the right marketing strategies customized for your business model to get the best possible results for your investment. Goldmine Dezine offers a variety of marketing services for your business beginning with print marketing & design, web design, mobile apps, business intro videos, time-lapse videos, drone video footage as well as post-production services. 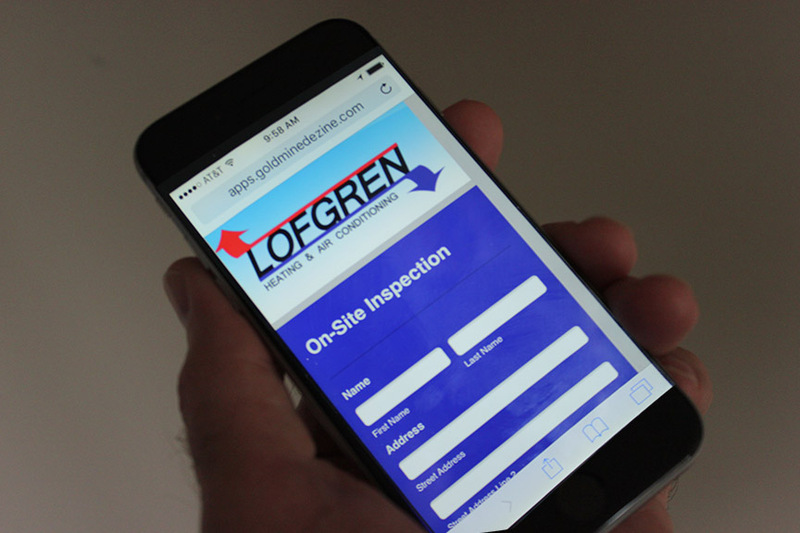 Solution required: Mobile app for on-site evaluations. Meet sales rep Neil Chell with Lofgren Heating & Air. 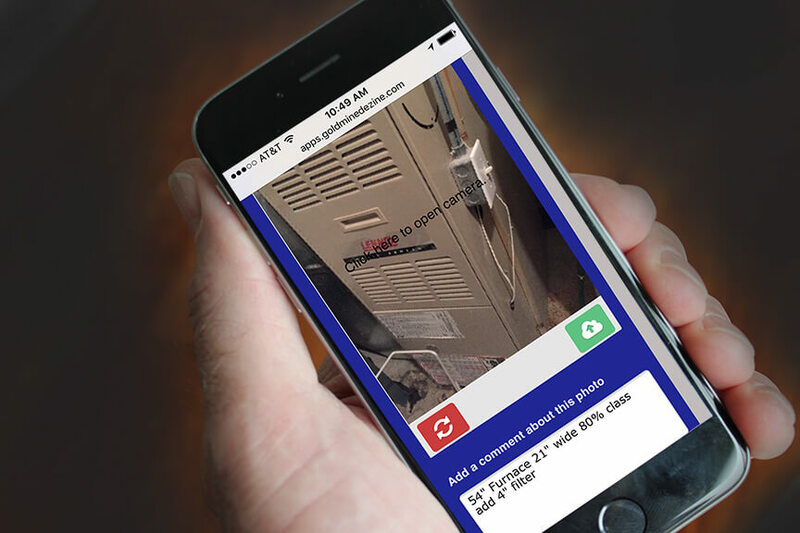 His typical day includes several in home estimates for residential HVAC equipment replacement. Like any good sales person, Neil likes to gather as much information as possible ahead of time to communicate with his install team and send them photos of the currently installed equipment at the customers location. This helps eliminate potential setbacks at the time of new product installs. As you can imagine this became an unorganized disaster in the camera library by not knowing which photo was associated to the correct customer address at the end of the day when it came time to complete the estimate process. It was time to streamline the process. 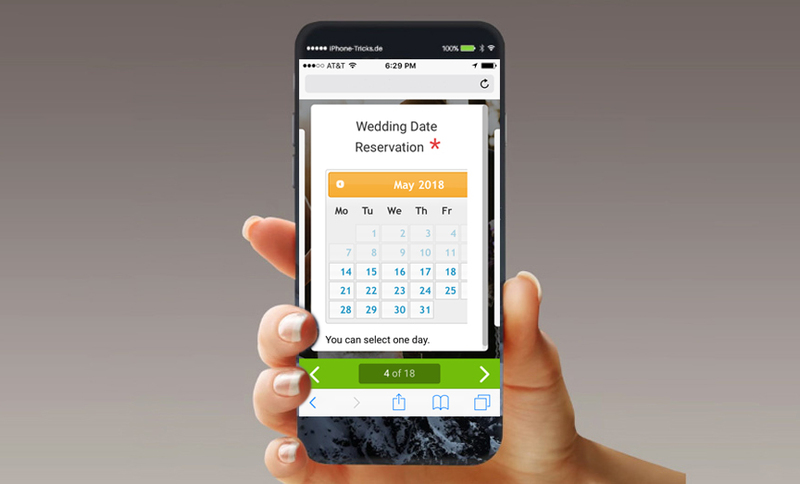 When Neil came to us with his dilemma we worked on a mobile app solution with him that would provide an input screen to collect the customer contact address information with a date/time stamp of the visit. Capture the photo’s and provide a text box to add comments about the photo. 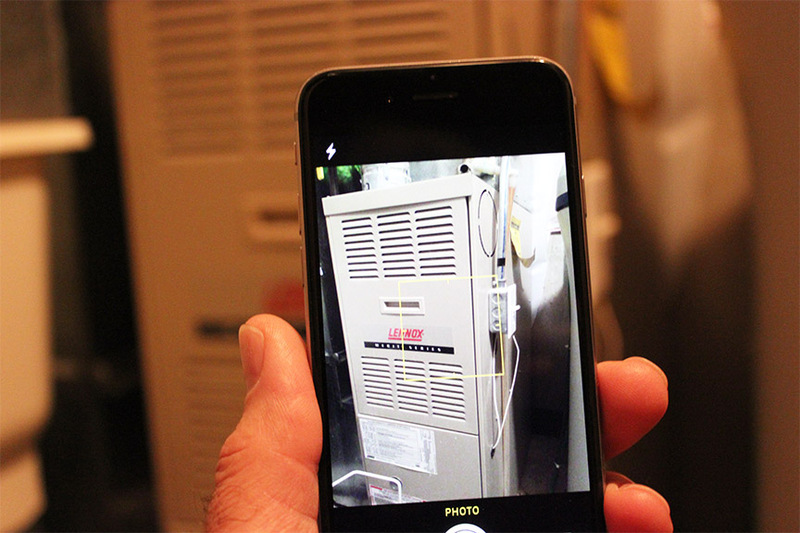 This allows his installer to see the photo with a brief description of the equipment and work space. 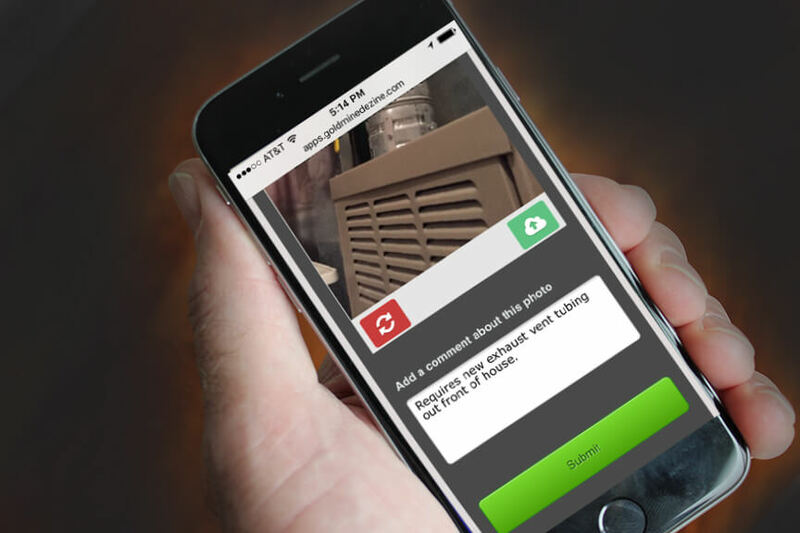 The app allows for multiple photos and text input boxes. 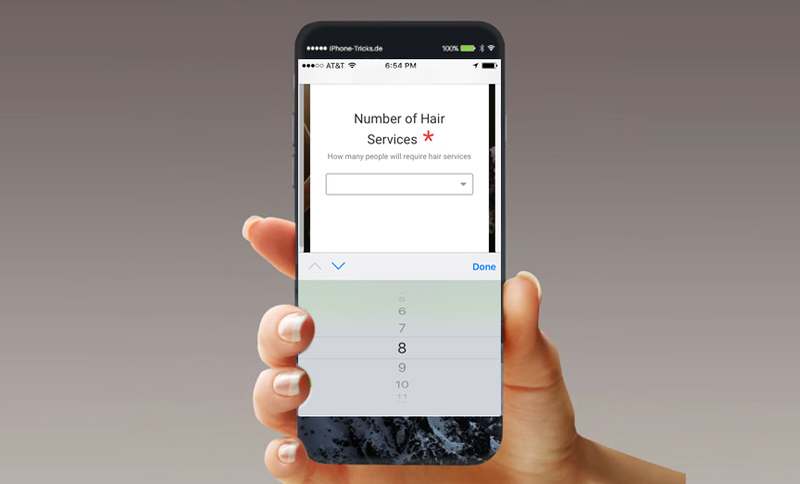 After all the completion of photos, the user click the send button and the entire collection is made into a pdf report and is automatically sent to anyone in the team that needs to be in the loop. Solution required: Mobile friendly sign up form. Meet owner April Scapin with Classy Styles on-site Wedding Hair & Makeup. April and her team provide professional on-site hair and makeup services to destination wedding parties in southwest Florida. When April started her business five years ago sending contracts via mail was the norm. It could easily take two weeks to receive the completed and signed contract back in the mail. Today her business has taken off and the mail just doesn’t cut it. 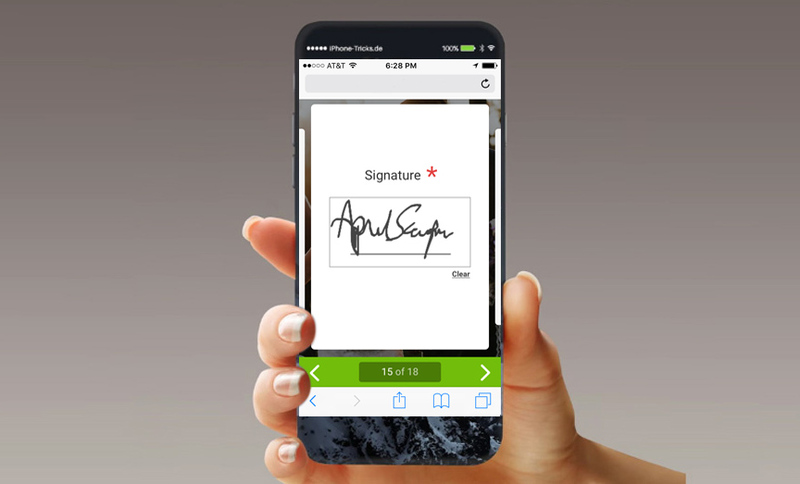 We streamlined to entire sign up process to take just minutes with our mobile form solution. As soon as the form is completed it is automatically emailed to April in a pdf format. All done... Scheduling made easy! Solution required: Mobile app for collecting leads. Events with cars is a new startup business that helps car enthusiasts find local car events. 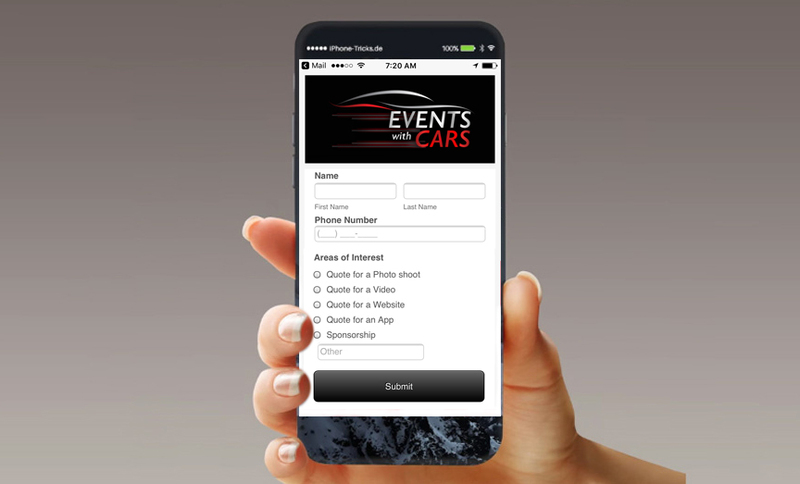 They attend many car shows and needed a mobile app that would allow them to quickly capture new leads. 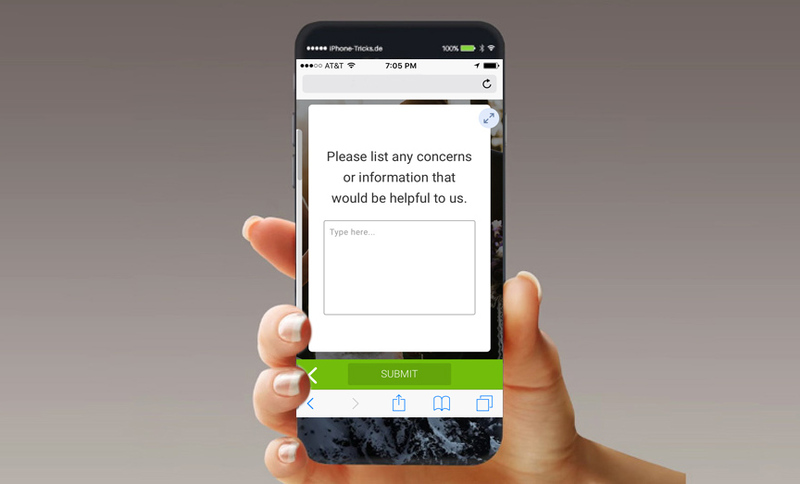 The solution was a new app to capture the contact information and their main areas of interest of the new lead. This data immediately gets set to our cloud server database where the customer service team gets a notification to process the request. Business have to be more creative and work harder to expand their business and many are looking for the next step. Short and sweet, our mission is to help you grow your business. Technology changes are coming at you quicker than ever. The process of how you find and keep new customers is more difficult than in the past. As a small business marketing resource, Goldmine Dezine specializes in helping you build or modernize your website, design a new mobile friendly site, start a blog, rank higher with SEO, expand into email and video marketing. And let’s not forget about your printed marketing collateral. Believe it or not, people still like receiving something with your information on it. We’ll develop marketing strategies customized for your business model to get the best possible results for your investment. When we meet with small business owners, we often discuss 4 vital topics of their business strategy: what is their uniqueness, how are they getting the word out, where are they looking for customers and are they getting too many tire kickers. Too many small businesses don’t consider how these fundamental points are hurting their brand and missing out on sales. Sometimes your marketing plan just needs a tweak and sometimes it’s time to reinvent your entire strategy. Established in 2001, Goldmine Dezine provides strategy and targeted solutions for on-line and off-line business models. Finding your uniqueness can be a challenge. You know it’s there, but digging it out is the hard part. Identifying your uniqueness and building your brand around it is the first step toward future growth. With the endless supply of technology available, there are hundreds of ways to spend your time and marketing budget to promote your business. It is vital to allocate a monthly marketing budget, but not all roads lead to a return on investment. Advertising strategies that worked a couple of years ago may not apply today so it’s important to get help when making a change. Targeting everyone is an oxymoron. By narrowing your target audience you can intensify your brands appeal. You’re better off being the top choice for 10% vs. one of ten options for everyone. A tire kicker is a prospect that is looking for someone like you to fix a problem. If you havn’t addressed their problem and objections, chances are they will start looking elsewhere. Give Your Brand A New Look! Creative Graphic Design is an important element for every growing business! It’s the starting point of how you want people to remember your company and you shouldn’t underestimate the impact professional branding will provide. Goldmine Dezine provides creative graphic design services, advertising and marketing services that get our customers noticed. Your business is unique and as a full service provider of graphic design services, we combine our creative talents, the latest software and experience to deliver the highest quality graphic elements. We can quickly turn your graphic design into eye popping web or print marketing pieces. Contact Goldmine Dezine today and speak to our experienced graphic design team and start getting your business noticed today. Print continues to have a place in the marketing mix – because it works. Four-fifths (79%) of consumers will act on direct mail immediately compared to only 45% who say they deal with email straightaway. 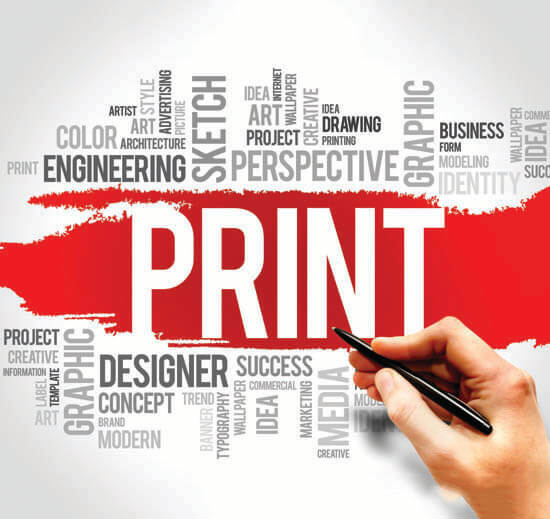 Print marketing has become more targeted which is why marketers prefer our digital printing services. Our digital print and graphic design capabilities ensures that physical marketing materials can be produced, delivered and in use within days. In some cases the same day. When we opened our doors in 2001 our competition said we were crazy to invest in digital printing technology, but we did our homework and found out that your marketing needs will be changing at a much quicker pace than in the past. Gone are the days when you could print a two year supply of any given marketing piece and hope it won’t change before you throw it into the recycle bin. Since then we’ve provided hundreds of happy clients with quick around, high quality professionally printed marketing collateral’s such as business cards, post cards, brochures, booklets, posters and many other personalized marketing assets to help meet deadlines. We craft every website unique to your business. Using modern design, your website will stand out for years to come. Designed for function, your visitors will be driven into customers. We build all types of websites including eCommerce sites. Our websites are designed responsive, mobile-friendly, and ready to be viewed beautifully on any device. Did you know that recently Google updated their search algorithm to NO LONGER SHOW sites in their results that aren’t mobile friendly when searched on a mobile device? Yep, how many people aren’t finding you online? Currently over 60% of people use a mobile device to search the web. We go the extra mile to code, test, and execute your site to be mobile ready. Your website will be created with best local SEO methods in mind. 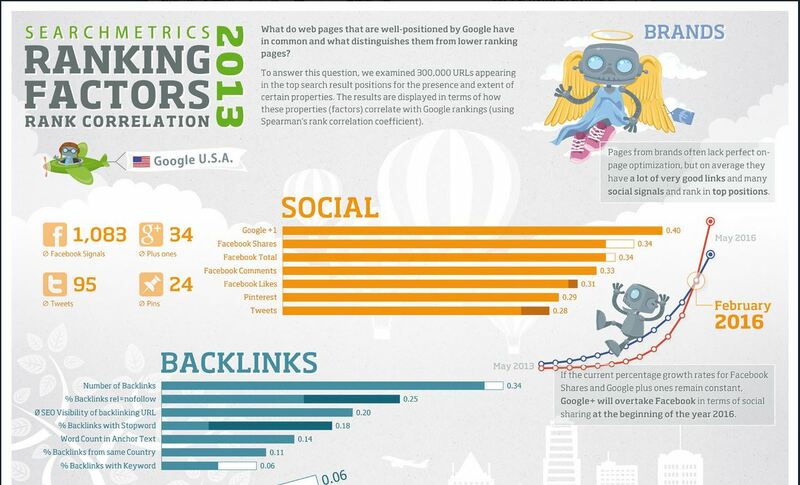 We submit to the top search engines, design for keyword specific content, and more. We build with speed in mind, which improves SEO and the visitor experience. The result is a lightning fast site that helps drive traffic and customers. We provide Premium WordPress hosting, CDN Access, Caching, SSL, and more. 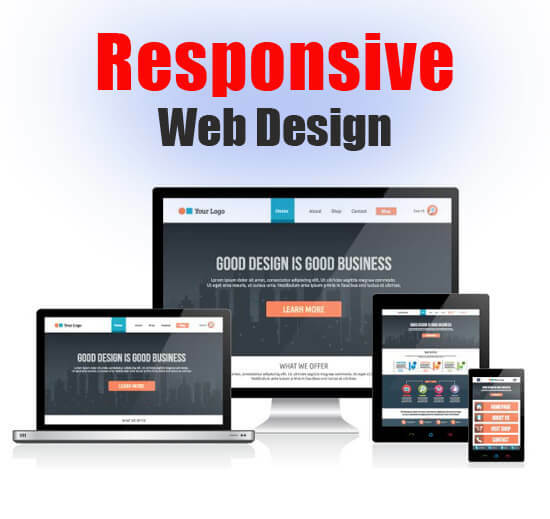 A responsive website is one that can properly scale and size to fit any device it is viewed on. Our new digital coupon program will be delivered through our “Hot Local Deals” facebook campaign for the maximum exposure for your business. This will make it easy for anyone to advertise locally. Still thinking that a mobile friendly website doesn’t matter? Starting April 21st google will start expanding this in their algorithm ranking signal and if your site doesn’t pass the test you can expect less mobile search traffic to your site. Copyright © 2019 Goldmine Dezine, Inc.